Matt Moser has been playing drums since a young age. When he isn’t on stage with Drop 35, he is a drum instructor. He attended the Percussion Institute of Technology www.mi.edu/ and Western Michigan University www.wmich.edu/. Matt is intensely into sport collectables, such as rare baseball cards. Matt has three children, which keep him quite busy and “young”. 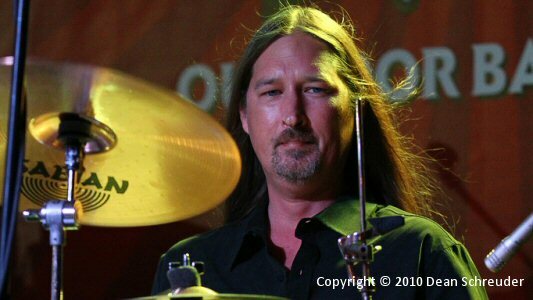 Prior to Drop 35, Matt was in many bands including the original touring band Playgrind with Michael McIntosh.